I’m eager to share with you my interview with John Gallagher. He’s an herbalist, with an incredible talent: he can make you feel excited about a weed – and inspired to try making something with it. Which is what makes him a really good teacher. sign up here, you’ll learn a lot! The best way for me to introduce him – is to share my personal experience… how learning from him changed things for me. It’s 2010 and I’m in my kitchen at home, watching this person in his kitchen – and he’s making herbal remedies with such a happy, laid back attitude. His kitchen isn’t huge. He’s not using off-the-grid, home-built tools. Nothing I haven’t seen before. It all seemed really normal… and at the same time, totally fascinating! I watched every. single. video. 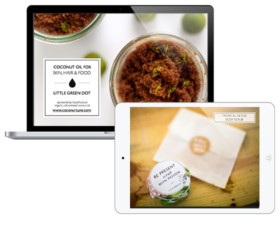 Anytime he posted a recipe for a lotion or a body balm – I’d watch it over and over and seriously… over again. I couldn’t get enough. I was all hands-in, making remedies like it was my job! If you walked into my apartment you’d see jars of herbs infusing in my living room bookshelf, batches of lotion in the fridge. Our house looked like a farmer’s market! Ha! It just made me so happy being hands-on with plants, making things. People around me noticed this passion and confidence growing within me. Learn the ingredients. Play with them often – and you’ll find your own way. That’s exactly what I did. And fast forward seven years later… I’m teaching my own natural skin care classes in countries all over the world. I think there are people out there who give us that spark, that confidence to create. And John is one of those people with that spark. So when I tell you that last week I was lucky enough to interview John Gallagher, you know it’s a pretty big deal for me. In our chat, I asked him about his experiences in learning herbs and starting something new. I grew up in a typical, 1970s middle class suburban home, eating processed foods, with parents who grew up in the city, who never took us camping, we never went to parks. But I had a yard full of trees, so I had this nature connection in a way, because back then, before video games were any good, kids used to run around outside. When I was in high school there was this guy who started a wilderness club – I wasn’t involved in it because back then, I thought those people were weird. But I had some of my friends that were in that club. I thought it was really funny that my friend knew this. And that stuck with me. Near the end of college I was re-introduced to that same high school guy who had started the wilderness club! His name was John Young and he had this cool way about teaching about the earth, and I got involved. I helped him take the school nationwide, we moved it to Seattle where it’s still thriving today, my kids later went to that school. Back then, we taught a little bit about the plants – I was interested in edibles, wild foods, very basic herbal stuff. But it still wasn’t something that was taught as a practical skill – the school was more about wilderness, tracking, navigation, building shelter. My worlds of how to take care of a baby and my interest in plants started to bubble up and needed satiating. That began a multi-year study, my wife and I. It was a long slog, an awakening to realizing about the natural world. I remember when we first started making ginger honey tea! You grate a bunch of ginger, it doesn’t matter how much, you can’t overdo it, boil up some water. Put it in a thermos, with a couple dollops of honey. Let that sit for a few minutes or so. We were just so amazed at how that held a cold off and helped the chill go away in the body. Ginger is a very warming herb and works if you have a chill. When Kimberly and I were in that early learning phase, we were in an 8 week series. I was soaking it in, it was so amazing, I couldn’t believe everything I was learning every week. We were very lucky.These two wonderful woman who ran a place called Raven Craft Garden in the next town were starting an apprenticeship. I didn’t have any money – but they did a work study with me – I worked in the barnyard and I learned by watching them, what they did in their house. It’s challenging. When we teach recipes, we have to make it so that everyone can do it. You just have to get the herbs. In the early days for me, I followed the advice: it’s better to learn forty things about one herbs that one thing about forty herbs. What I did was to focus on learning as much as I can, about as few plants as possible. Learn by the seasons, what’s around you and what you can pick, whether it’s Hawthorn Berries, Elderberries, Yarrow, Dandelion or Chickweed. Simple things that you can grow in the garden like Calendula. Free herbs that you can experiment with. For the nourishing herbal infusions that I use daily, like my daily multi-vitamin, Nettle and Oatstraw – those herbs I order them online, because my wife and I use so much of it. I still do them every day, 20 years later. Nourishing herbal infusions were made popular and spread by Susun Weed, my early book mentor and hero. One of the things that she talks about is that a great way to learn about herbs and stay healthy is through nourishment. And nourishing herbal infusions are taking an ounce of plant material, say an ounce of dry nettle, putting it in a jar and filling it with hot water and let it sit for at least four hours, straining and drinking it. 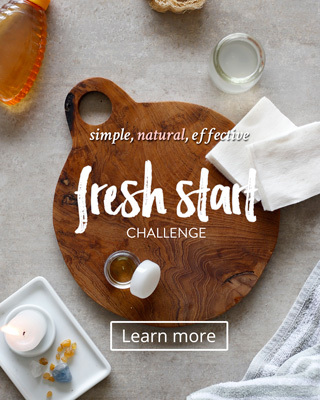 That’s really fun because you get to investigate some of the nourishing herbs and the different properties and ways they can help you. You know what it tastes like, what it does for your body, what it feels like. Most of what we advocate in using herbs internally is looking at it, not about curing a disease, but maintaining health. Being part of a health regimen like diet and exercise. Like when you drink a bowl of warm soup you can feel it, it feels good. But if you eat a couple fast food burritos, you might not feel as well or get some stomach issues. For me, when I drink an infusion of nettle, it feels nourishing, I feel healthy. Imagine if in your health, you do more things that are nourishing than not. What’s interesting is that if you look at even health food stores and you look at the cold drink section – you’ll find more drinks that are stimulating, than nourishing. You have to be mindful of what you put in your body. Herbs are a way of life, keeping you healthy. It’s just been part of our life for so long… from college. Now I’m 47 my wife is 50. We’ve been at it for a while. My daughter who is now thirteen, she was amazed when she was younger at her friends house and they didn’t know they could do a chamomile steam to help a stuffy nose. She said – I just thought everyone knew this! A key is to start with just one area in your life at a time. You can make choices. If you’re going to reach for a soda, why not try a nourishing infusion. If you’re going to make coffee, maybe make a cup of chai. Or if you’re going to sit and watch tv for an hour, you can also go for a walk instead. Or you can try and make a little garden. What if you grew a pot of calendula flowers. It doesn’t have to be big, it can be on a balcony. Try that and maybe you could use those flowers to make a nice oil or sale out of. You can start there in those really simple ways. The littlest things can make a big difference. Don’t be overwhelmed by it. Look at it as one experience at a time. As some cool little adventure that you’re on. The ginger lemon tea is a good one. Another really good one is a basic immune building herbal chai. This is another common drink, that many people know about already. But now you’re making it from chai herbs yourself. My wife every morning in the Winter will make a big thermos of chai and leave it on the counter. When we walk by it, we just fill our mug. It’s nourishing, it’s warming and great for digestion. It’s something you can do right now with herbs that you probably have in the kitchen, or can get really easily. One of our books, Alchemy of Herbs, introduces people to herbs through recipes. Just as a way to get started, to learn how fascinating the healing properties of herbs are. As you drink, say, the chai, and you use cinnamon… what a wonderful time to look up cinnamon and learn about it! You can learn about herbs as you’re using them slowly, not memorising from a book. Once you make that leap of looking at ingredients in the kitchen as healing herbs, nothing will ever be the same again. the content is real fantastic :D.